Did you know that we regularly add new pieces to our website? One of our recent additions is this gorgeous Wynton bedroom set from Furniture of America. Inspired by reclaimed wood designs, the weathered light oak finish beautifully highlights the natural wood grain. 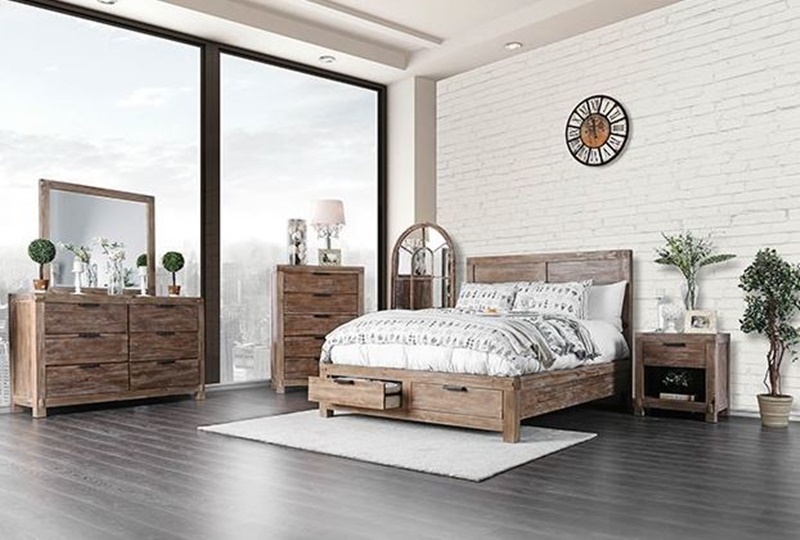 The simple panel bed design provides rustic charm, while features like USB power outlets on both sides of the headboard keep you easily connected to the modern world. Felt-lined drawers in the dresser offer protection for your valuable items, and two drawers in the footboard provide extra storage space. The bed is available in both Queen and King sizes.